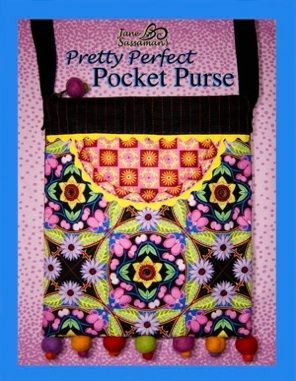 The Pretty Perfect Pocket Purse is the little shoulder bag that you can depend on everyday. It is small enough to be comfortable but big enough to carry everything you really need. The large front pocket can keep your immediate accessories at your fingertips and the zipped bag can securely hold the rest. Plus, it is as cute as a bug and fun to make because the front pocket is your creative canvas... stitch it, bead it, button it. The embellishment is up to you!